It helps to dream big when you already know which career you want to pursue. For Ms Stephanie Lok, her goal is to head the marketing department of a luxury fashion company one day. 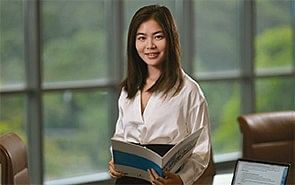 The 20-year-old, who graduated from the School of the Arts Singapore, is currently pursuing a Global Bachelor of Business Administration at ESSEC Business School in Singapore. Ms Lok says: “I wanted to pursue a business career in Singapore while exploring something outside of my comfort zone. Ms Lok is a recipient of ESSEC’s Academic Excellence Scholarship, which covers 25 per cent of tuition fees. She enjoys the learning environment at her school, where class sizes are kept intimate. Students are encouraged to share their thoughts and opinions while being respectful of others’ viewpoints. 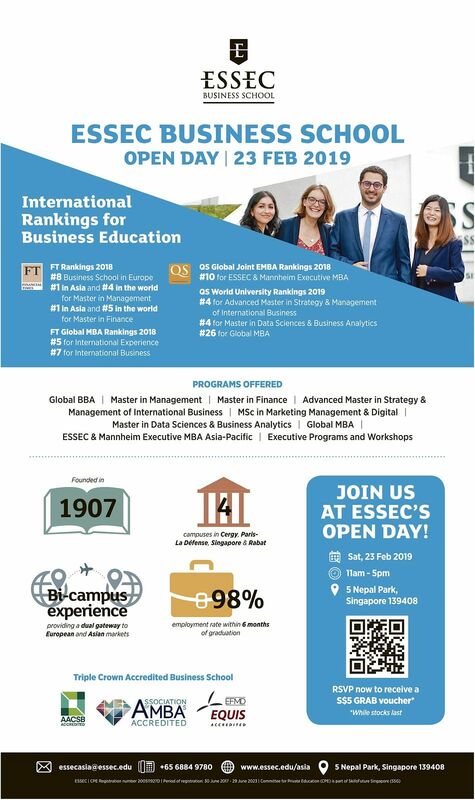 ESSEC also has a hands-on approach to education that encourages the application of skills in a real-world context. During a semester break last year, Ms Lok interned as an event planner and social media manager at a local food and beverage and lifestyle company, which enabled her to gain exposure and build her network in Singapore. — she has the chance to interact with people from different countries and backgrounds. While this means she has to adapt to the different communication styles of her classmates, it has also broadened her perspectives, and made her a more patient and accommodating person. “Everyone is friendly and open. Some of my French classmates have even taught me some French and piqued my interest in that language,” she shares. and skills she needs to succeed in her chosen field. “My education has prepared me to be a creative and adept professional, and also fosters a global mindset through my interactions with a culturally diverse student population,” she says.